Marketplaces and prices shown matched UPC number 887961585957 during our search. Super Spin Tire Shop is an imaginative way to imitate realistic vehicle adventures! 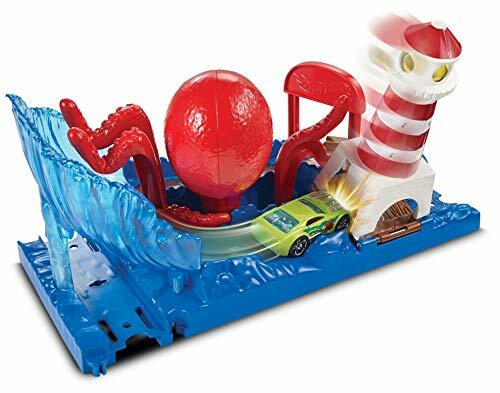 The Hot Wheels City Super Sets inspire epic storytelling and imaginative ways to play! 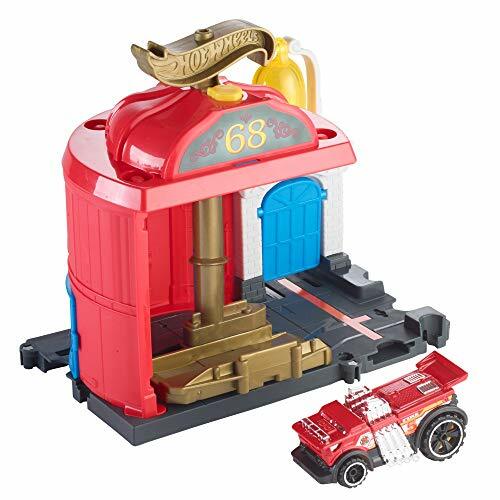 The deluxe city-themed Super Spin Tire Shop play set includes big key features and performance push-around-play the Hot Wheels way! Kids drive all the way up the orange spiral ramp and choose new tires and rims. After a tune up the track takes the vehicle into the giant wheel. 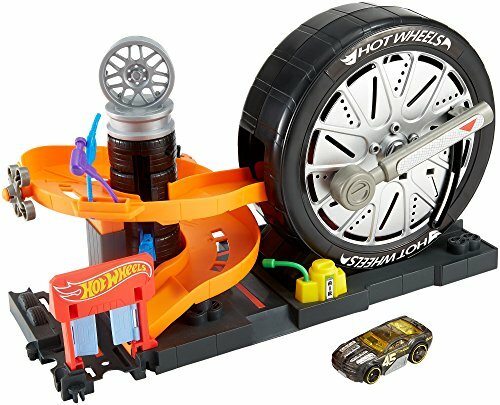 Pull the lever and give it a spin and the car will go around the loop inside the tire, come shooting out the other side, and speed off for more adventures in Hot Wheels City! Fun features help improve motor skills and boost confidence. 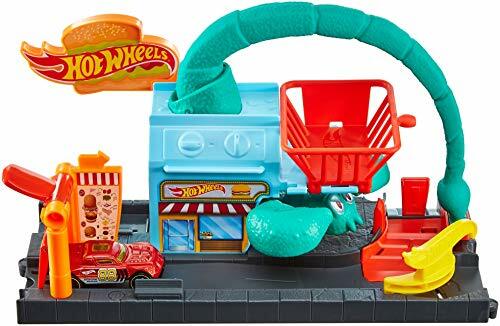 Build up Hot Wheels City by connecting other City play sets together. City play sets are also compatible with orange track and other sets. Includes one Hot Wheels vehicle.